Evolv, Inc > Categories > General Discussion > Random blank screen on firing? Looking for help I ordered a 200 a couple of weeks ago here in the UK. Mod built yesterday after waiting for the 3D case to be printed. Screen blanks on firing randomly, sometimes it's blank on firing 5 times in a row then it stays on for 1 or 2 fires then blank then on. The frequency is random. The problem is the same with no Atty or Atty attached, reflashed to latest firmware, reset the board, hard reboot its always the same. The board always fires even when blank, there is no screen glitching. The only issue is on firing. Can you save your settings file and post it here? There are a number of screen settings, and one blanks the screen out when you are firing. If you post the .ecig file of your settings (you'll have to zip it) we can see what combination of things is causing this. @John I have left the mod back in the city I will dump the ECig file when I get back next week. @scoopy yes that's the one! Is the display ribbon pinched? I had the same problem with my 3d printed box by BlueRidgeDog. The screen would blank out when I touched the fire button. 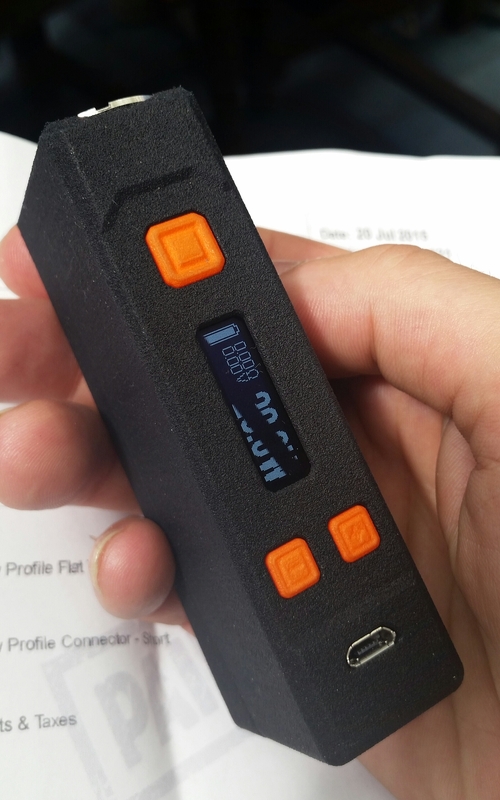 I replaced it with a display from my other DNA200 and it works now. I carefully pre-bent the ribbon so it would collapse down and away from the fire button when installing and it's working great now. 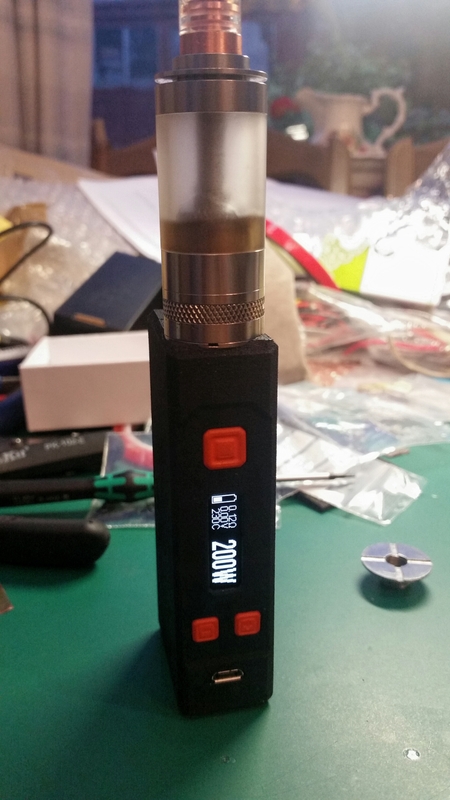 I need to find/buy/steal another display for my other DNA200 now. @KTM You are the second person to say this today and something tells me given how tight and tricky getting everything installed is in this case. I may have done that I have a spare screen and board so will have a look next week! Hope you get another screen sorted! I got a print from Sculpteo. They give up to a 30% discount for economy shipping (usually a week later). I went with that and got mine within 10 calendar days. I got economy shipping too but it shipped overnight from France. They use a SLS printer and it's very precise. Yup either I damage the screen or it was faulty from new but a new screen fixed all problems. Many thanks for everyone's help!